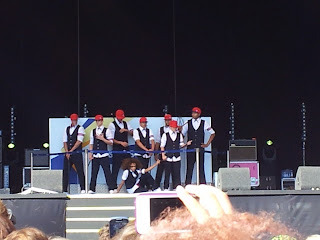 This weekend the Mob!lers checked out the Leeds Olympic Torch Festival. 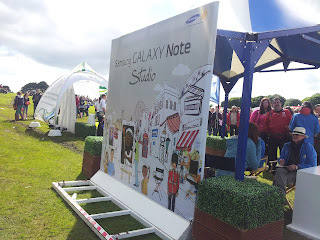 This weekend the Samsung Mob!lers and I headed to the Leeds Olympic Torch Festival. 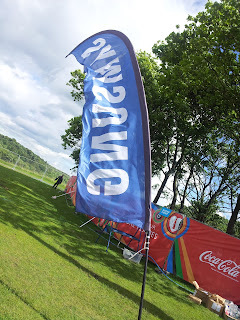 This was a pretty big event and Coca Cola were given the lead sponsorship role but Samsung stood their ground and took pride and place down the right hand side of the main stage. With an expected crowd size of 30,000 people the Leeds Olympic Torch Festival was a huge deal for the big brands and companies sponsoring it. 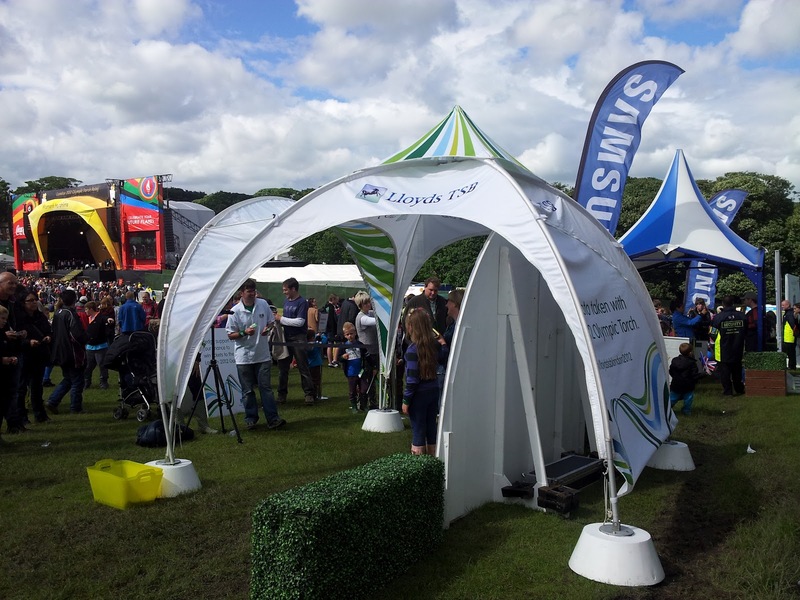 There was three brands there this week; Samsung, Coca Cola and Lloyds TSB. I had a good look around and checked out what each was getting up too. I must add, I had a Fantastic day! Samsung's Flags flew high around the sides of the Samsung area. 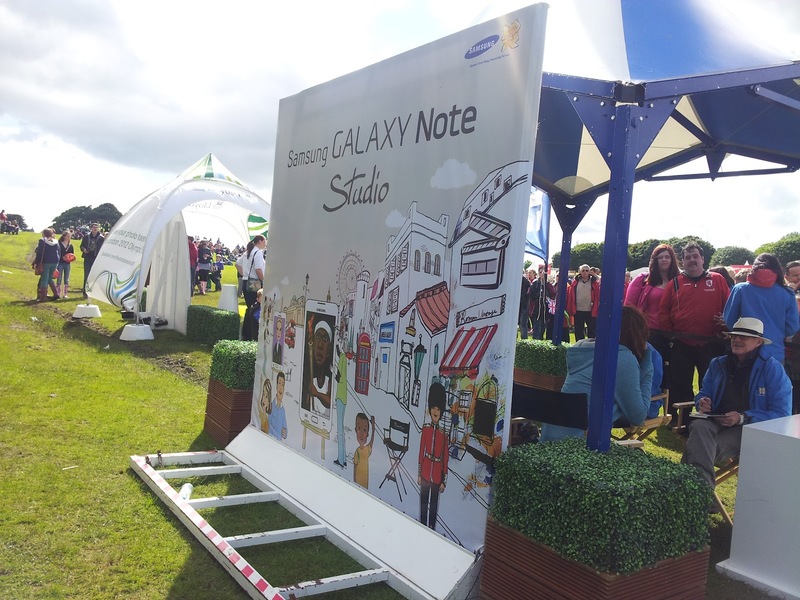 Everyone waved Samsung Flags and banged together Samsung's Bam Bams which were a huge hit with the kids and adults alike. Normally the Samsung stand would also have a PIN (pop up Samsung store) where visitors could pop in and play with the actual devices them selves and not just Demo Models like most shops will have. Unfortunately due to the weather and heavy rainfall which had fell in the days before, it just wasn't safe enough to put it up which meant that poor Leeds missed out this time. But fear not, the crowds all still looked like they were having a great time at the Samsung stand, smiles and cheers filled the air as local families came together to celebrate and anxiously await the arrival of the Olympic Flame. 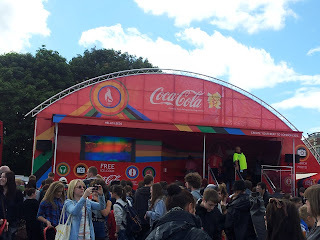 The Coca Cola stand offered free bottles of coke to anyone who cued up for one, free frisbee like drums for others who played their selected games and also offered people the opportunity to get their photographs taken with an Olympic Torch. There was a happy vibe around the stand but the cues were very long. A little too long which was a little off putting. 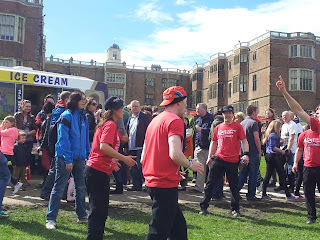 The did have a team of promotion like staff running around in a really random way trying to get the crowd to join in with their crazy antics. One group were doing silly dances with flags whilst another was playing imaginary basketball. Mob!ler Stacey did have a go and made us all laugh. Such a random thing to see but so much fun to watch. You can see Stacey sporting a blue Samsung jacket amongst the Coca Cola reds. The Lloyds TSB stand was a little more quiet, it too had a cue of people waiting to have their picture taken with an Official Olympic Torch but then it had a Charity based feature where people could fill out a small card and then post it into one of four slots, each of which was allocated to a local charity. One ticket was to be drawn out at random and that charity was going to get a lovely 5,000 pounds but not only that, the person's ticket they pull was going to win a Fantastic prize of 4 Olympic tickets. I quite liked this idea as there was something in it for the crowd yet it was a great way of raising funds for the local charities too. Once we'd checked out all the brands had to offer we decided to head down to the stage area, we were so lucky and got to enter the VIP section to watch the show. 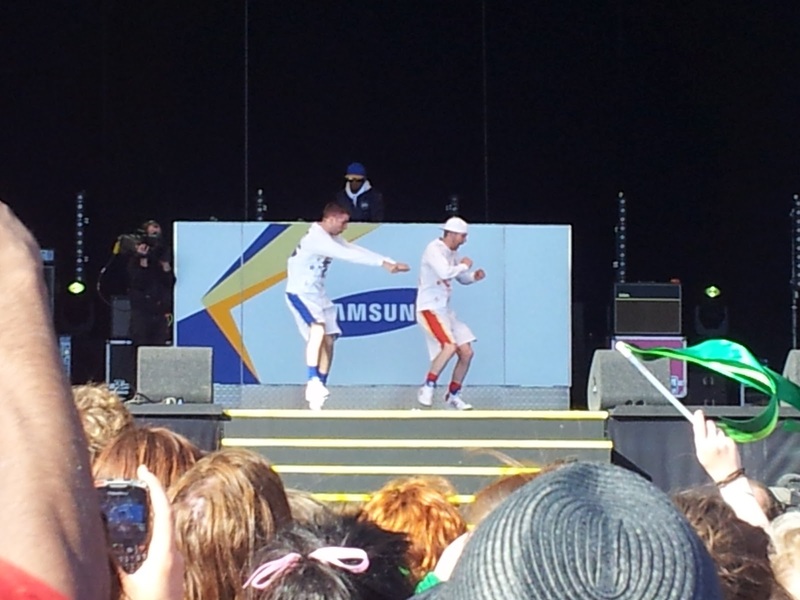 The Leeds headliners of the Samsung Show was Twist and Pulse and the awesome Diversity. 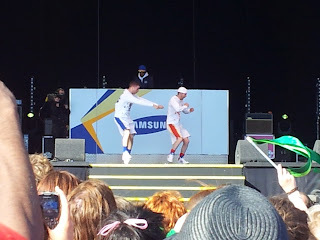 They both put on an amazing show and the crowds went wild. So overall we had an Amazing day! You can see the Mob!lers next weekend when we join in with the Birmingham Olympic Torch Festival. If you're a Samsung fan or a WANTED fan then you don't want to miss it. The Samsung Mob!lers are going to do Samsung proud!